Peterson BMW of Boise the leading BMW dealership in Idaho announced that the dealership offers a navigation technology credit on all new BMW 5-Series models for a limited time. The option credit of up to $1,730 on new 5-Series models already equipped with navigation technology (excludes the 550i which comes standard with navigation technology) is now available at Peterson BMW of Boise. In addition to the option credit program, Petersons prides itself in maintaining the largest selection of BMW 5-Series models in the Treasure Valley. With plenty of options to choose from, our clients will be impressed with the incredible performance, timeless style, and countless innovations that embody the legacy of the 5 Series. When it comes to offering the latest and greatest BMWs on the market, Peterson BMW delivers. 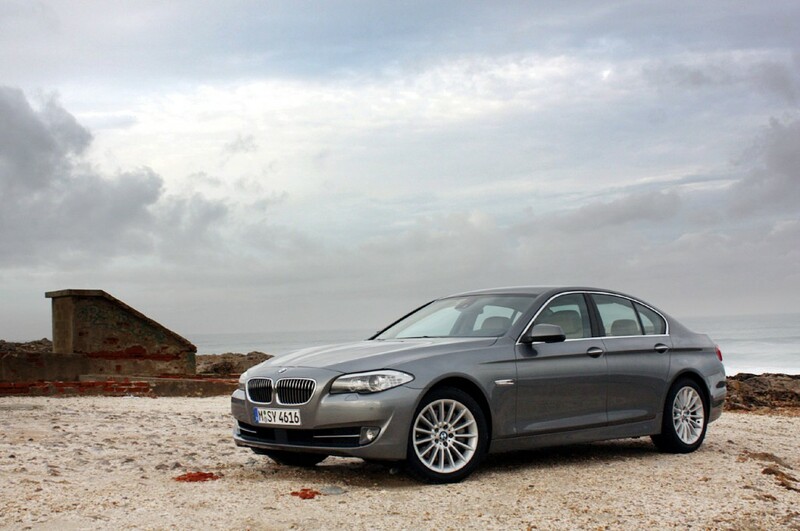 The all new 2011 BMW 5-Series continues to impress buyers who want power, loaded standard features, excellence and value. Peterson BMW of Boise newest lineup of 5-Series models boasts an attractive combination of performance, comfort and technology. An 8-speed automatic transmission, electronic limited slip differential, four-wheel disc brakes with ABS, Dynamic Brake Control, Dynamic Stability Control, Dynamic Traction Control, 17-inch alloy wheels with run-flat tires, rain-sensing wipers, fog lights, power-adjustable, heated and folding outside mirrors all come standard on select vehicles. In addition, the BMW 5 Series has several key features including Connected Drive and the Enhanced Automatic Collision Notification system. In terms of appearance, the new BMW 5 Series sedan stands out clearly from the competition. Overall, the aesthetic looks of the car are achieved through balanced proportions. Design features symbolic of BMW are to be found at the front with its kidney grille inclined slightly forward, in the stylish and elegant side view of the car, and at the muscular rear end. Highly advanced drive-train and suspension technologies combine agile handling for the driver and a high standard of riding comfort for passengers. When equipped with the Sport Package, the new BMW 5 Series Sedan includes Adaptive Drive, which encompasses Driving Dynamics Control, Electronic Damper Control, and Active Roll Stabilization. Optional Integral Active Steering will virtually extend or shorten the vehicle’s wheelbase for improved stability at high speeds and enhanced agility at lower speeds. Clients who are eager to learn about the cutting edge features and $1,730 option credit on the BMW 5-Series— as well as the complete lineup of BMWs from Peterson BMW of Boise visit our website for more information or call us at 208.378.5980. Peterson BMW of Boise is a new and used BMW dealer located in Boise, Idaho. Our state-of-the-art BMW dealership features a full inventory of BMW cars and BMW SUVs with real photos featured on our website. The dealership amenities include a BMW Service and repair facility, Certified Pre-Owned BMW sales and a used car facility. Peterson BMW of Boise invites consumers to visit and see why they take pride in the vehicles they offer and the service they provide.